Rio Grande Valley Vipers' Monte Morris (11) handles the ball against the Agua Caliente Clippers in a NBA D-League game at State Farm Arena Thursday, Dec 14, 2017, in Hidalgo. 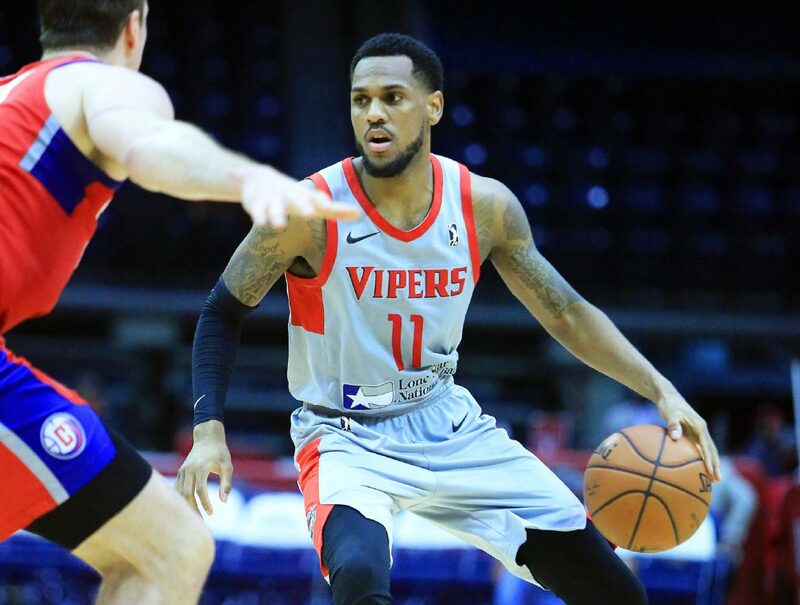 HIDALGO — During training camp with the RGV Vipers this season, Monte Morris started putting his own twist on a popular celebration. After a big 3-pointer, many NBA shooters will point three fingers to the side of their head. Morris wanted to do things a little differently, so he points three fingers to the top of his head, making a patting motion three times. The celebration has become a staple at Vipers practices. When Morris nailed a 3-pointer with 37.3 seconds remaining on Thursday to give RGV the lead for the final time in a 117-112 win against the Agua Caliente Clippers, coach Matt Brase was the first to pat himself on the head. Morris and many of his teammates mimicked the move in response. Rio Grande Valley Vipers' Monte Morris (11) passes the ball against the Agua Caliente Clippers in a NBA D-League game at State Farm Arena Thursday, Dec 14, 2017, in Hidalgo. Rio Grande Valley Vipers' Monte Morris (11) attempts a basket against the Agua Caliente Clippers in a NBA D-League game at State Farm Arena Thursday, Dec 14, 2017, in Hidalgo. Rio Grande Valley Vipers' RJ Hunter (3) attempts a basket against the Agua Caliente Clippers in a NBA D-League game at State Farm Arena Thursday, Dec 14, 2017, in Hidalgo. Morris finished the night with 20 points on 8-of-15 shooting, including a 4-of-9 mark from beyond the arc, while dishing out eight assists without a turnover. He was held scoreless in the fourth quarter until the closing moments, when he netted two of the game’s biggest baskets. With 1:06 to play and the Vipers trailing by two, Morris exploited a matchup with the bigger, slower Marshall Plumlee, driving to the rim for a game-tying floater. On the Vipers next possession, with the game still tied at 110, Morris heard Brase yell “Bingo!” With 52 seconds on the clock at the start of the possession, Brase knew the Vipers would likely have the ball last if they attempted a shot about halfway through the shot clock. 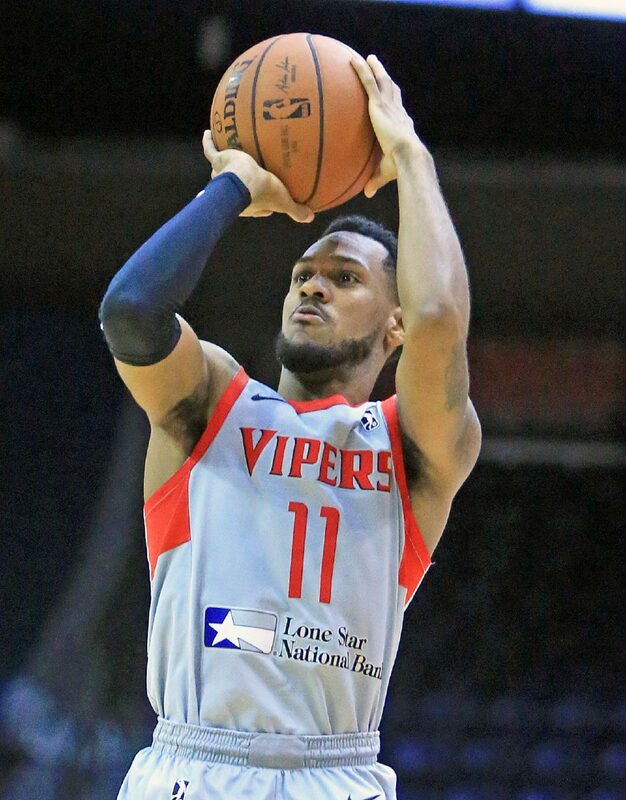 So, with 37 seconds to play, Morris pulled up and knocked down a 3 for a 113-110 lead the Vipers would never relinquish. The win lifts the Vipers to 14-4 on the season and avenges Tuesday’s 110-109 loss to Agua Caliente. Morris was not with the Vipers for Tuesday’s game, instead making his NBA debut for the Nuggets after being transferred to the club on Sunday. He watched from the bench as Indiana Pacers guard Victor Oladipo went off for 47 points to hand the Nuggets a 126-116 loss in overtime on Sunday, then traveled with the team to Detroit and played 3 minutes in a 103-84 win on Tuesday. Morris said he grew up about 45 minutes away from the arena in Flint, Michigan, so many of his friends and family were on hand to see his debut. 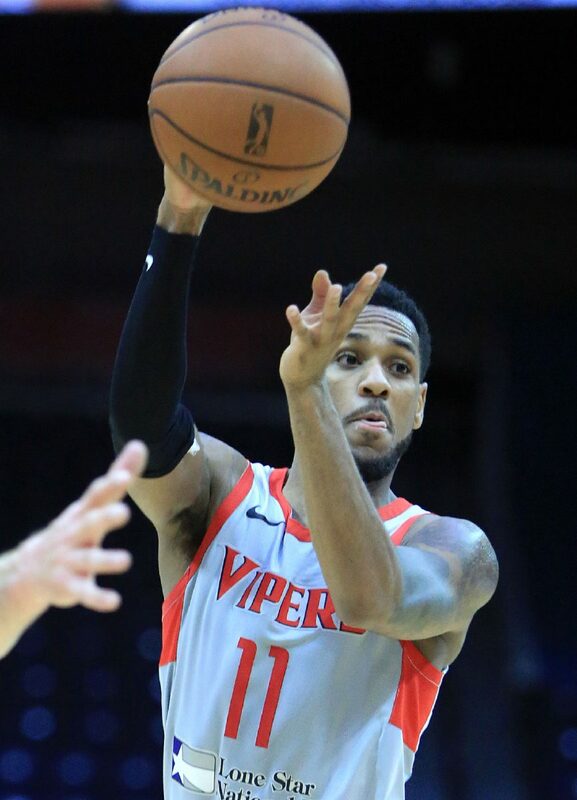 Morris was reassigned to the Vipers on Wednesday and landed in the Valley late at night after his flight from Dallas was delayed. The trip capped off a busy two weeks of travel for Morris, who went to Maine, Toronto, Long Island and Chicago with RGV before making the trips to Denver and Detroit for the Nuggets. 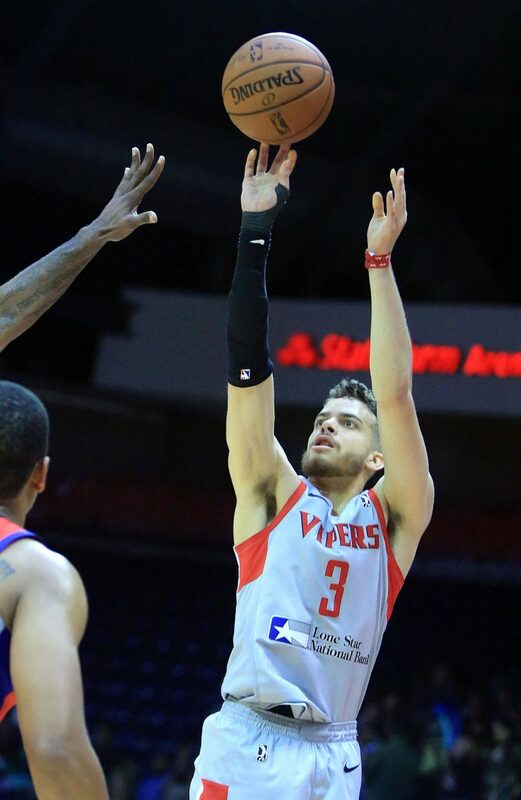 The Vipers forced Clippers turnovers before each of Morris’ final two baskets — the most critical takeaways among RGV’s 27.
RJ Hunter scored a team-high 29 points for the Vipers. After being held scoreless in the third quarter, Hunter dropped 17 in the fourth. He netted 15 of the Vipers’ first 18 points in the quarter, including a streak of 12 straight.